As you may have noticed, Minecraft does not have a very realistic electricity system. Sure, redstone has the basic functionality of electricity, but as any armchair physicist will tell you, it’s not entirely accurate. Poor grammar aside, Calclavia hits the nail on the head with that description. Universal Electricity simply adds the ability to use electricity to the game. It’s up to other modders to take this system and run with it. 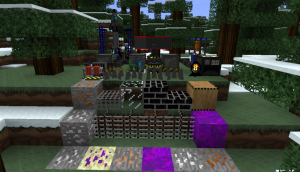 Whether you’re an aspiring modder or an accomplished one, I’m excited to see what happens when we combine the power of electricity with the creativity of Minecraft players. Can a hydroelectric dam mod be far away? Step 4) You have now installed the Universal Electricity mod into Minecraft. But to take advantage of this mod, you’ll need to install some of the mods which require Universal Electricity. The official UE website has plenty of mods listed on its site for download. Download and install those mods according to their individual instructions to start harnessing the true power of electricity in Minecraft.